The best day of your life deserves the best ride and on time. You've picked the date, purchased the dress and located a beautiful venue. 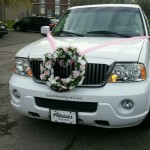 Now it's time to find the perfect wedding limo for your big day. No wedding is too big or too small from 20 to 750 Allstars will ensure that your special day is executed flawlessly. You will be able to use our services on your wedding day to transport your bridal party to the day spa or your groomsmen to play 18 holes. Let us ensure that your family and guests make it from their hotels to the wedding site hassle-free. Allstars limousine offers the following. Sendoff service with red carpet from the reception. Full shuttle service for out-of-town guest in style. A day in the limo or limos going to the salon, then to the church, come back and pick up the boys, take them to the church, and take everyone to the reception. Photographers are more than welcome to ride around in the limousines. We can even help pick out locations to shoot photos. At the end the of reception Allstars will ensure that your guests get home safely. 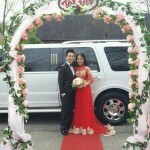 Allstars Limousines wedding limousine services offers everything you need to celebrate your wedding day in complete luxury and style. We Service Kentucky and Tennessee. I want to sincerely thank you all so very much for your hard work to create an incredibly special wedding day for Stephanie and Michael. They were so pleased with everything, as were their parents. 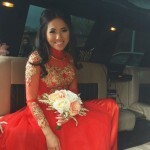 We overheard Stephanie tell her mother, Jan, that it was the wedding of her dreams! On a more personal note, I want to extend my sincere appreciation to each of you and your staffs for doing anything we needed to make things happen smoothly and according to plan. Thank you so much. I look forward to working with you again soon. This company provided a fabulous service for my daughters wedding. A big shout out to Otis for his wonderful generous nature. He was Absolutly the best driver we could have had. He is a great communicator and really rolls with the punches. Thank you from the bottom of my heart. We used the limo for a bachelorette party to Arrington Vineyards and it was perfect! A great way to spend the afternoon in Nashville and it is so gorgeous out there. Otis was great and even the old southern ladies at the winery wanted to come with us on the limo! too much fun! 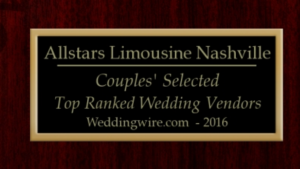 Not only can we provide the most luxurious Nashville Wedding Limos for your special day, we have developed relationships with the premiere Nashville wedding planners and florists, Caterers, Hotel concierge services, and the numerous notable wedding sites and locations where couples tie the knot around the Greater Nashville Area. Let our limousine whisk you away to the church, or from the church to the reception, and from the reception to your honeymoon. Don't worry about coordinating limousine transportation from each destination, we can help arrange wedding party pick-ups and drop-offs and everything in-between, and we even have special custom rates to make everything more affordable.